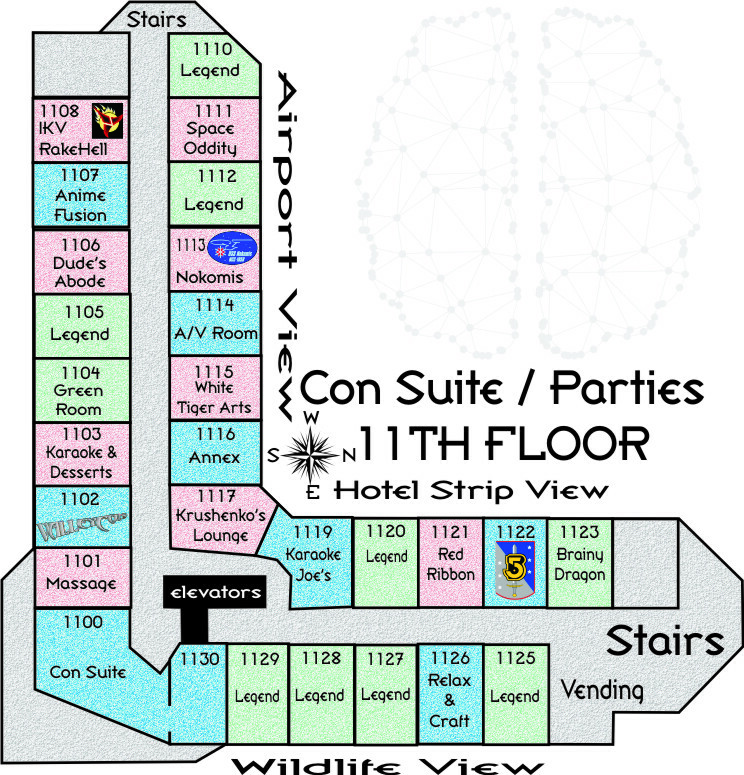 Con Suite is where you will find pop, chips, candy and assorted snacks throughout the convention. Hours will depend upon availability and energy of volunteers, but we plan to open early for coffee lovers and close late for the pleasure of our night owls. Please pitch in to keep Con Suite tidy and open longer. Many thanks to volunteers! 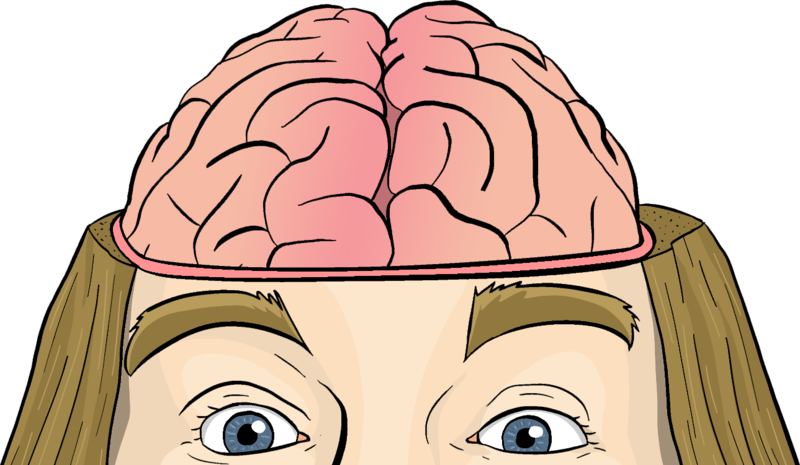 Rue Morgue Massage, the crew with the magic touch, returns to MarsCon. Stop by for their famous back and full body massage. Or Drop into the Black Hole and vibrate your way through space and time. Escape may be impossible losing track of time probable. 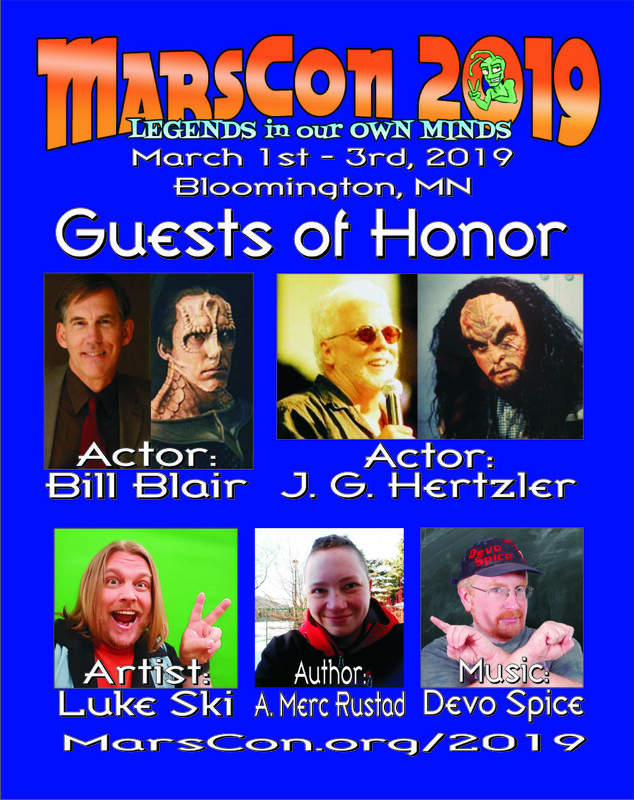 ValleyCon returns to MarsCon! Check out the major surprises heading to ValleyCon this fall! Sing karaoke from the 7,500+ song list and sample some amazing gourmet desserts. Party hours: May go until 3am. Strikes and gutters, ups and downs...doesn’t matter what you’re feeling, it’s always a good time to grab an oat soda and hit The Dude’s Abode. The Dude abides. Revisit classic anime and discover new favorites with the convention that spans the ages. Whether you’re just getting into anime or haven’t dusted off those old VHS tapes in years, there’s a place for you at Anime Fusion. Stop in, watch some anime, and let us grill you a cheese! You win or you die. Come drink and know things. We will be open from 9pm on Fri and after the masquerade on Sat. This party goes to 11! 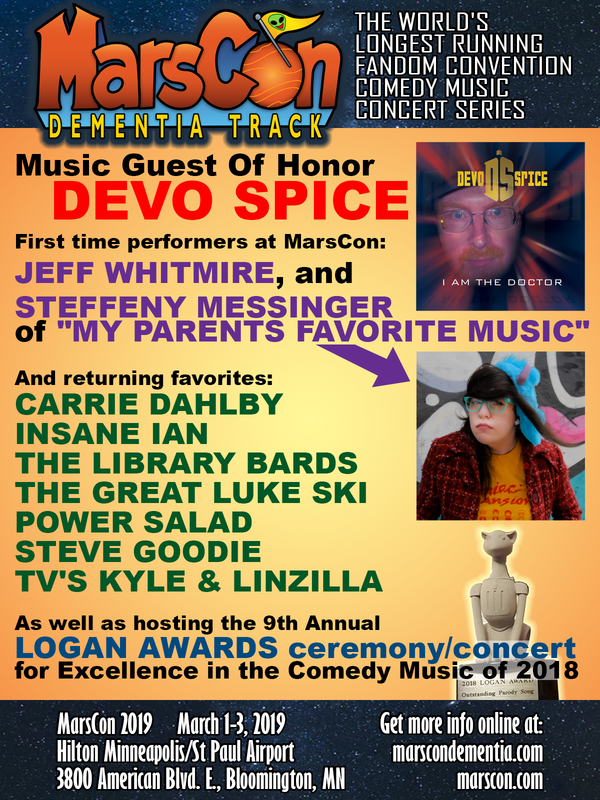 Returning for our 11th year at MarsCon, Space Oddity offers you the finest in craft beer, boxed wine, cocktails, snacks, and music circles. Spectre of the Gun - a Star Trek Legend. We will bring you the great cult classics, great geeky films and a few surprises along the way. The A/V Room needs your help—if you love films, please help out the A/V room by volunteering! Sponsored by Geek Partnership Society. See program schedule for the final movie list. Come hang out with sword students from WTMA! We’ll be serving up an array of alcoholic and non-alcoholic beverages and tasty snacks perfect for relaxing after a long day of training. Get your Push Up Club ribbon by doing push-ups with us and earn a month of free Korean Sword classes! Party hours: May go until 2am. 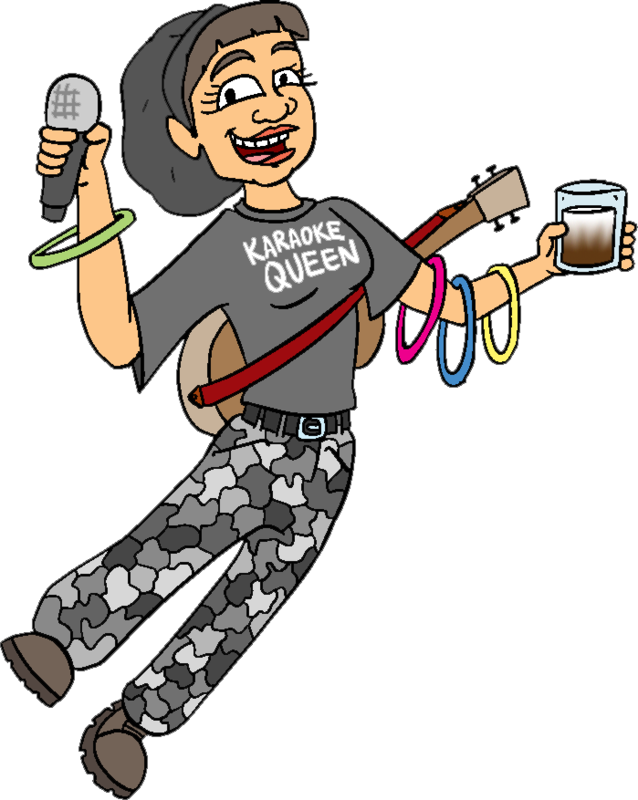 Karaoke Joe’s returns to MarsCon! Karaoke Joe’s Café has been known as the place where you can sing (and listen to) just about anything your heart desires, from Barry Manilow to Black Sabbath and from Rupert Holmes to Rocky Horror Picture Show. Karaoke Joe’s has a continually expanding catalog of roughly 7,000 songs! Come prepared to have a great time watching, or pluck up some courage and sing a song yourself! So stop by, pick a song and Rock The Mike! Steam Century invites you to solve a steampunk mystery and participate in other events including a scavenger hunt, craft hour, and tea and parlour games! Explore our interactive set and talk with characters. Mickie & Jennifer do a knitting thing. Join Snarky’s Café, and Lady Jan and her staff will keep the agents of hunger at bay. For a low price in addition to MarsCon registration fee, MarsCon attendees who volunteer 5+ hours and Dealers stuck at their posts may enjoy three meals a day from start of Con to the end. 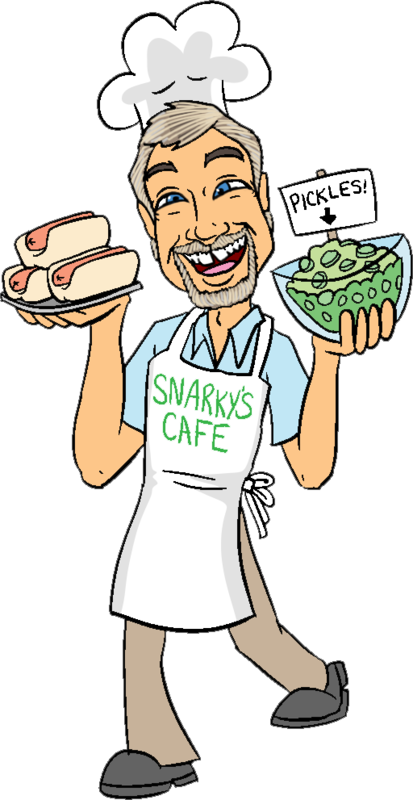 All food served in Snarky’s is purchased with money from Snarky’s Registrations – not Con Funds.